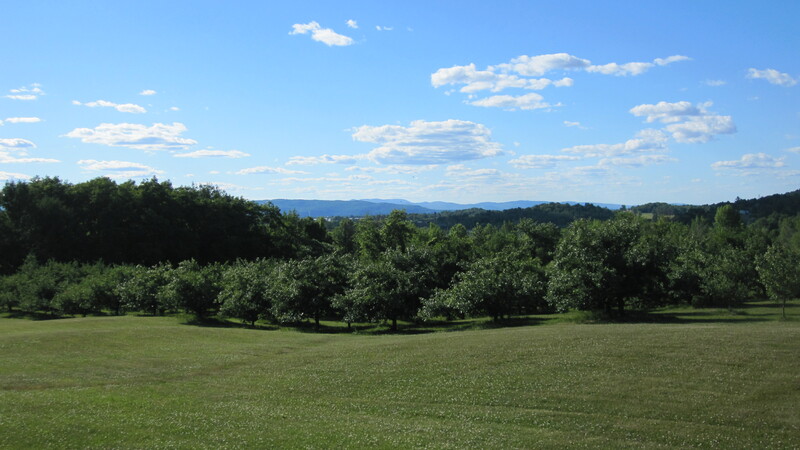 Welcome to Woodman Hill Orchard! We are a micro-orchard serving the city of Vergennes, Vermont and all surrounding towns in northern Addison County. The orchard has over 300 trees on 2.4 acres to choose from, including several popular varieties. All apples are IPM grown using the latest techniques from the University of Vermont and Cornell University. We moved to the property in 2016 (see the Our Story page for the full story) and have been quickly learning all we can about growing trees and running an orchard. We look forward to meeting you and hope that you will enjoy our orchard as much as we do! Congratulations to our 2018 Apples to iPads winner! After five weeks of dedicated searching, our little wooden apple was found this past Saturday! Congratulations Allie! We were very excited to participate in the 2018 Apples to iPads program and plan to do so again next Fall. Thanks to all the dedicated seekers who combed our orchard in search of the little wooden apple this season. Maybe next year will be your lucky year! Apples to iPads is sponsored in partnership by Vermont Department of Tourism and Marketing and Vermont Tree Fruit Growers Association. 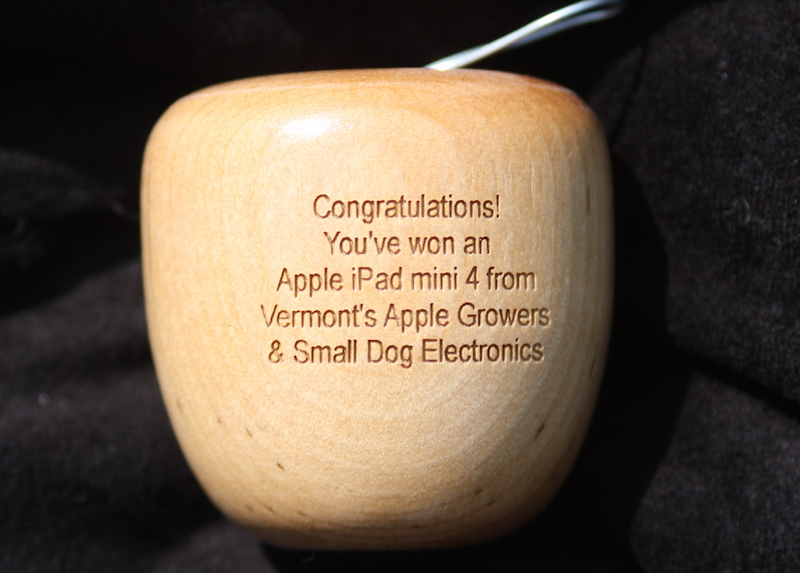 You can find out more about the program at https://www.vermontvacation.com/apples-to-ipods. Its our final weekend, apple pickers! Lots of yummy apples still on the trees and a great time to stock up for the winter. Empires, Cortlands and a few Honeycrisp still available. Discounts on purchases of 1 bushel or more. Apple drops are $.25/lb. We also have special pricing by the car and truckload. Its a great way to stock up on applesauce and get some delicious pies in the freezer. Fresh pressed cider will be available all weekend. It keeps well in the freezer for months so grab one for now and a couple for later! Doing your own cider pressing? We have pre-picked utility apples available as well! Hope to see you one last time this season!